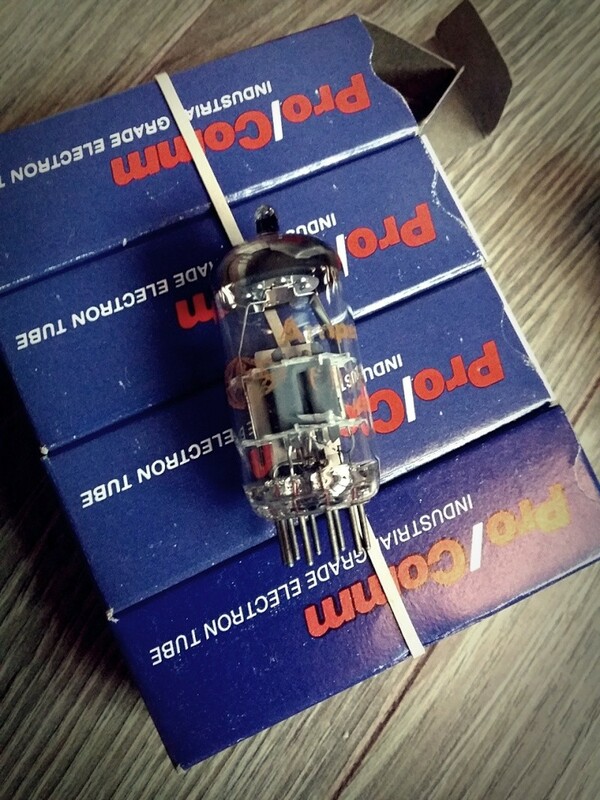 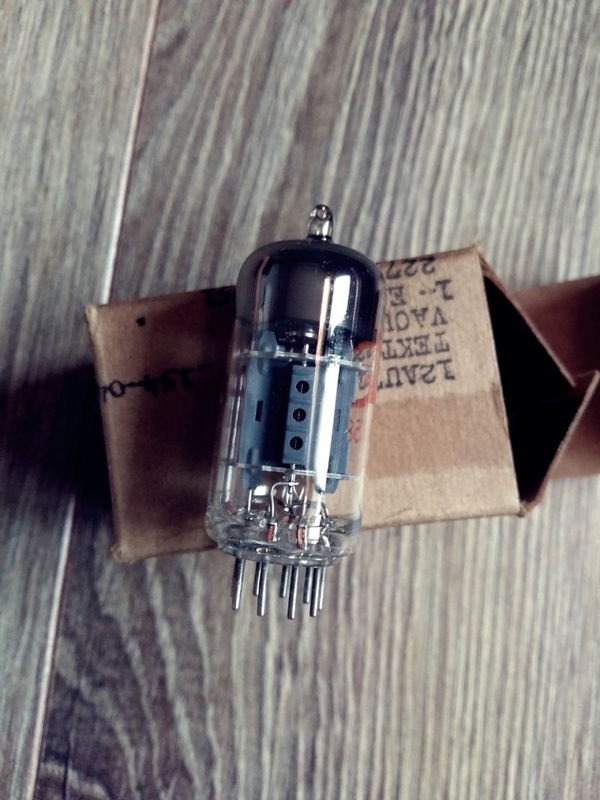 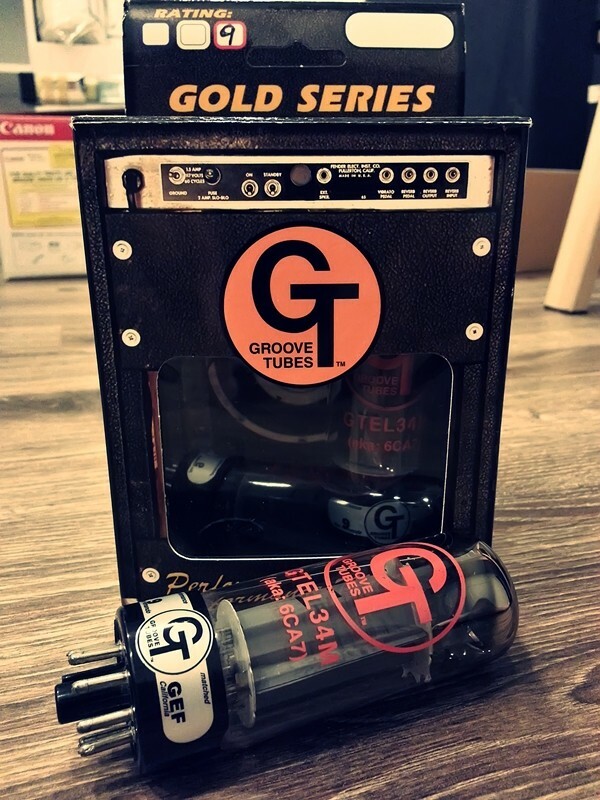 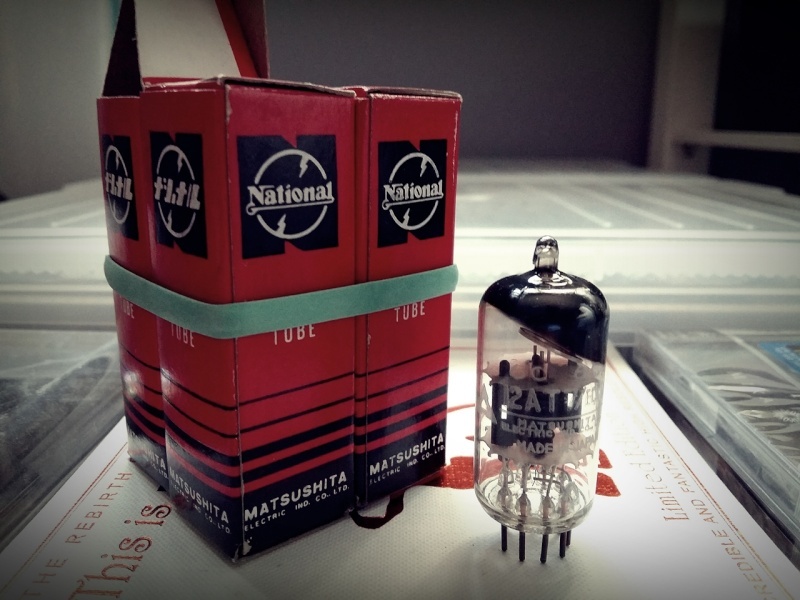 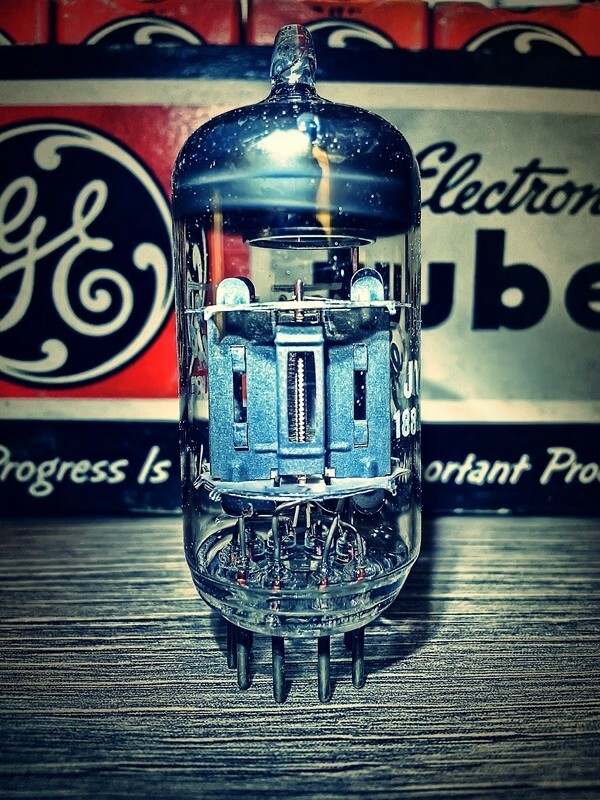 GE 12ax7 NOS, matched quad. 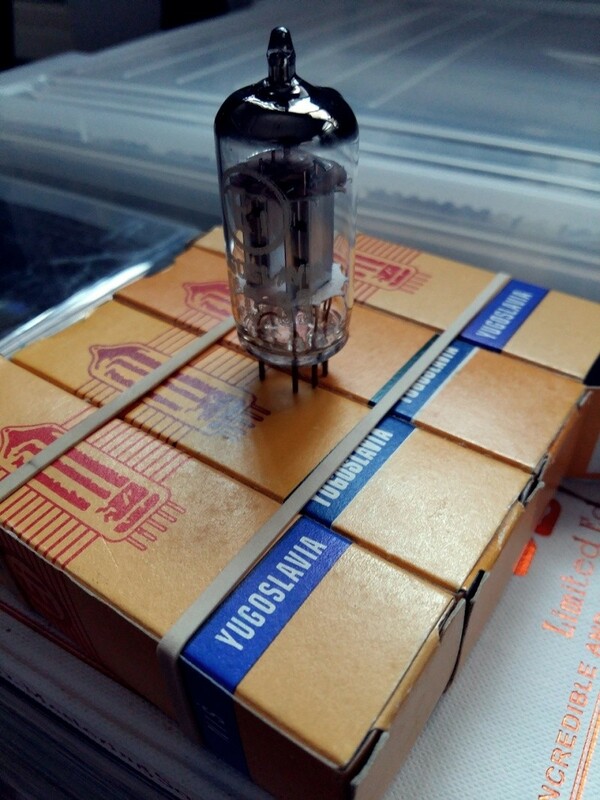 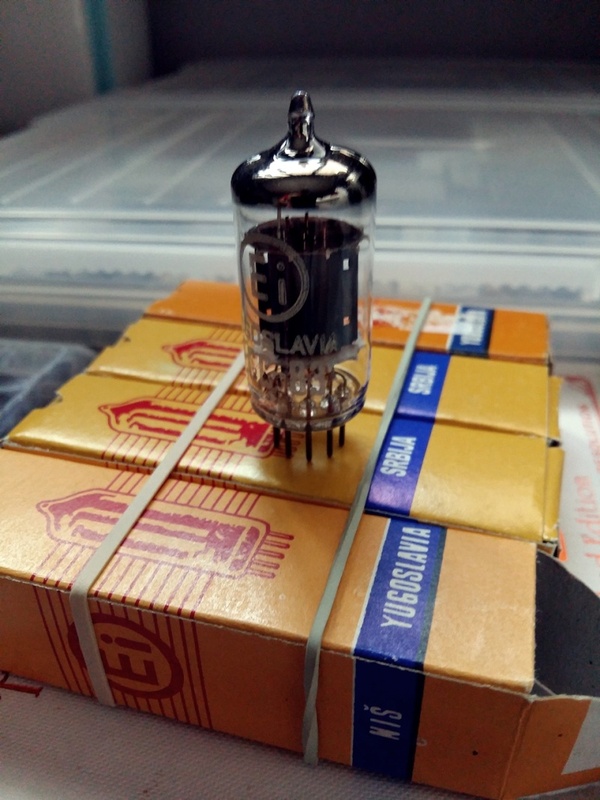 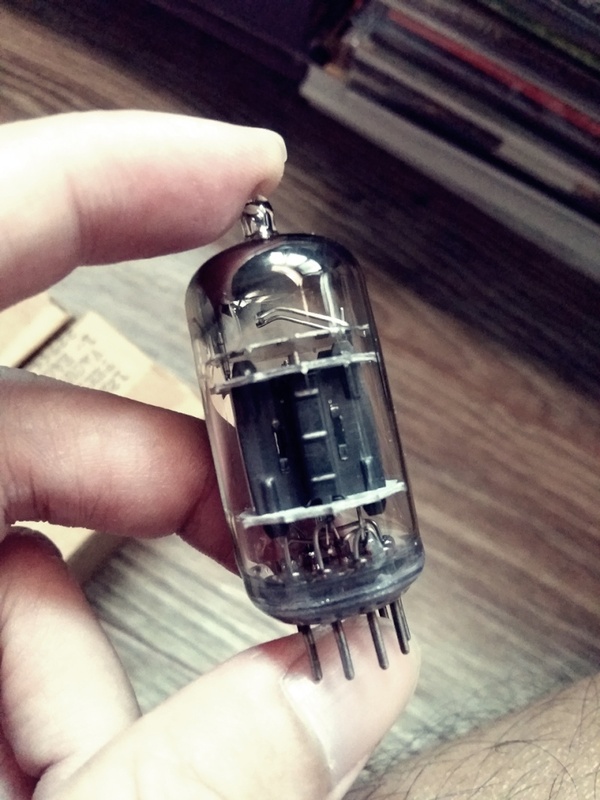 Sylvania 12ax7 NOS, matched quad. 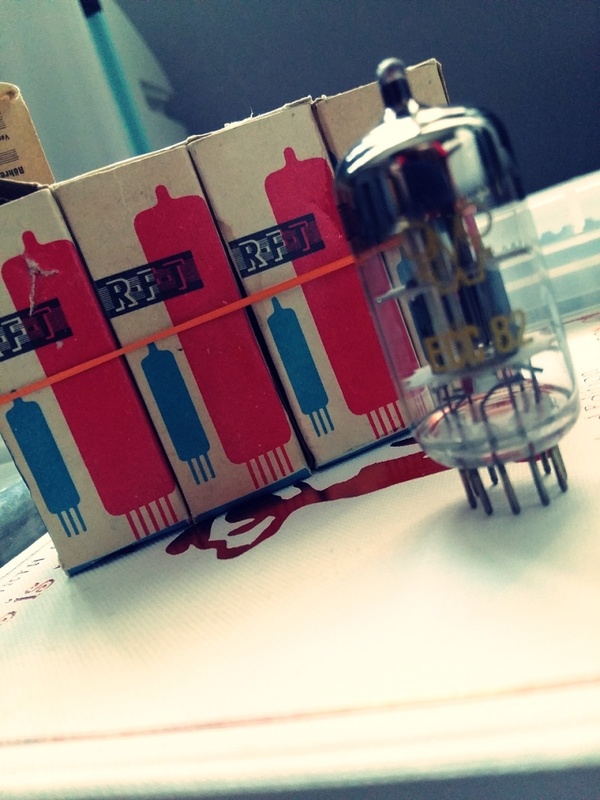 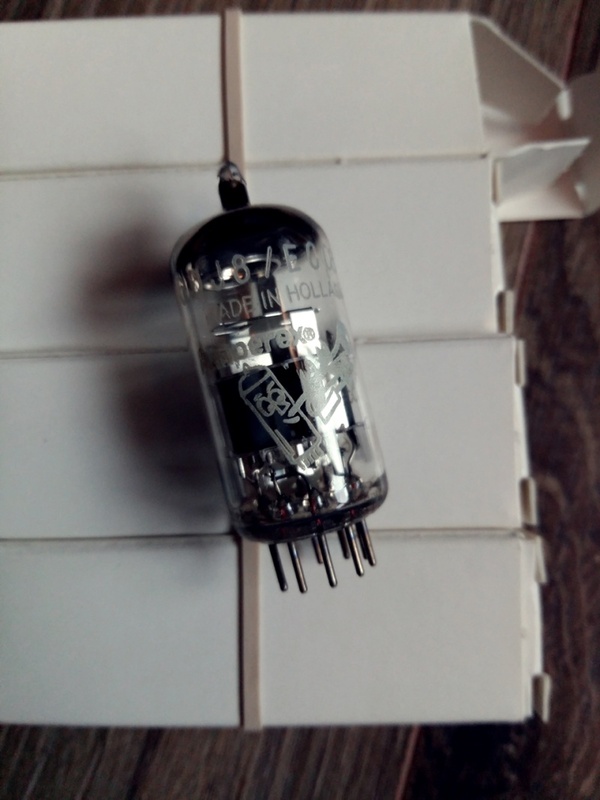 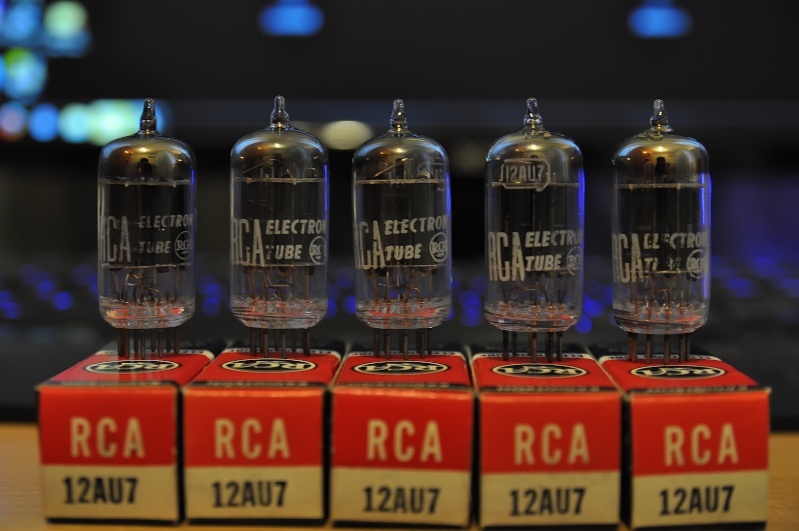 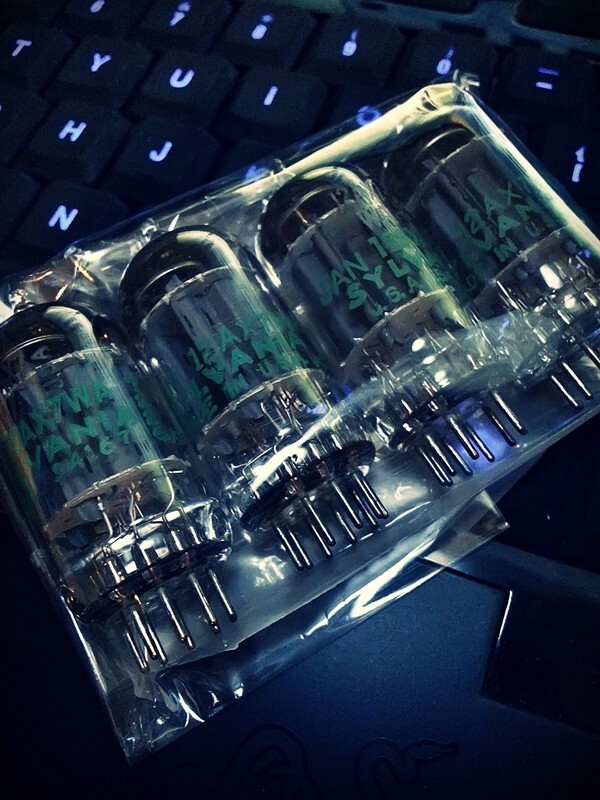 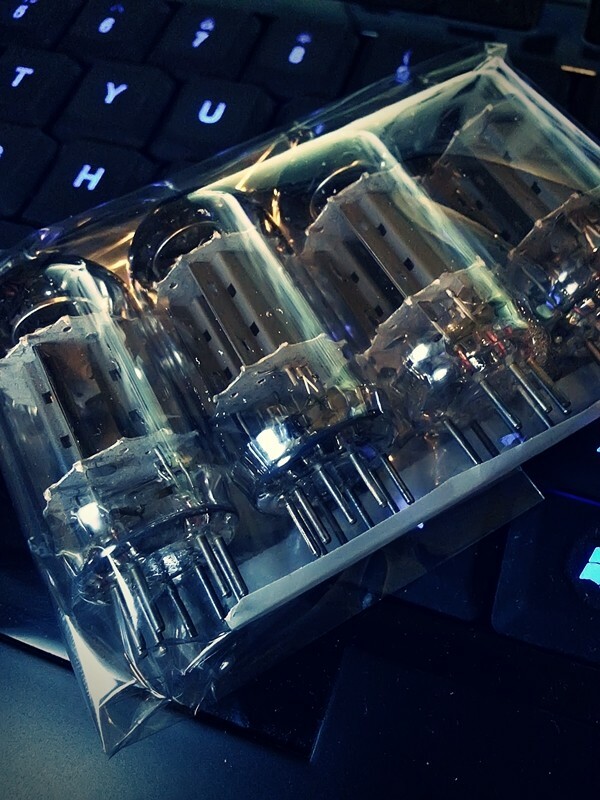 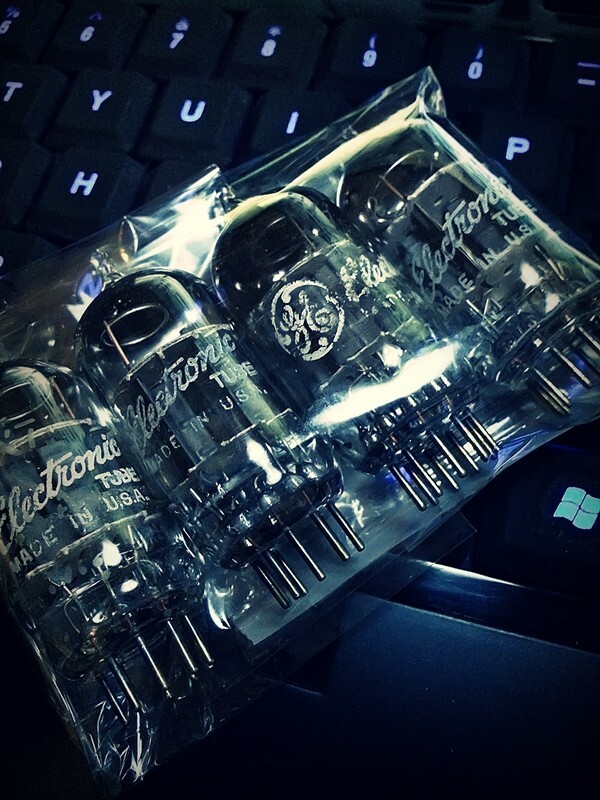 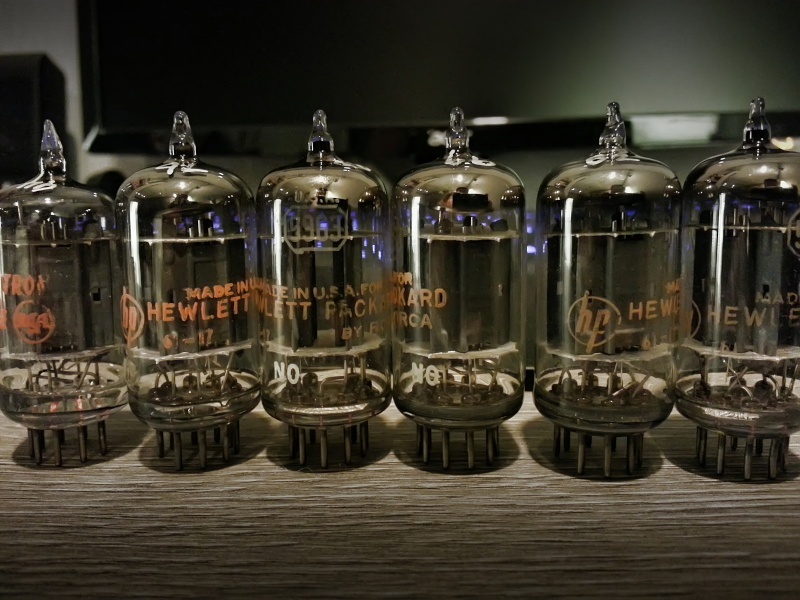 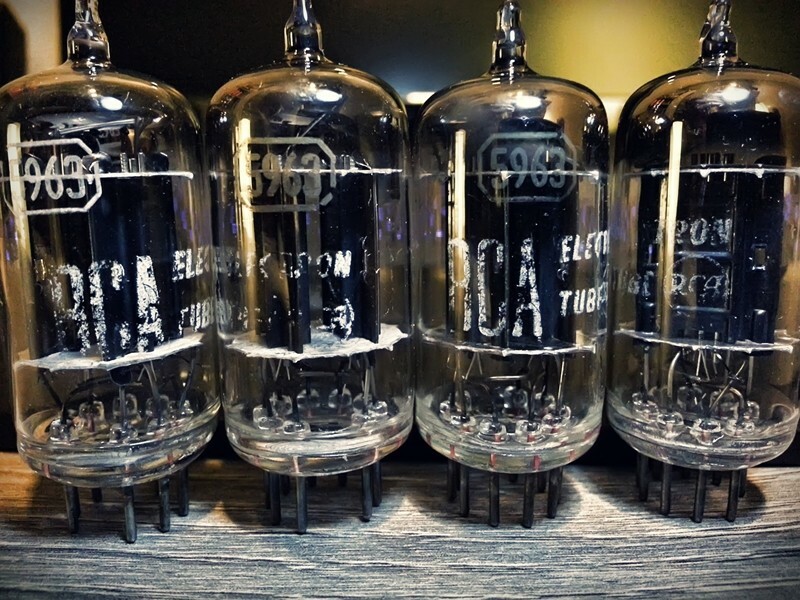 EI 12ax7 used tested strong, matched quad. 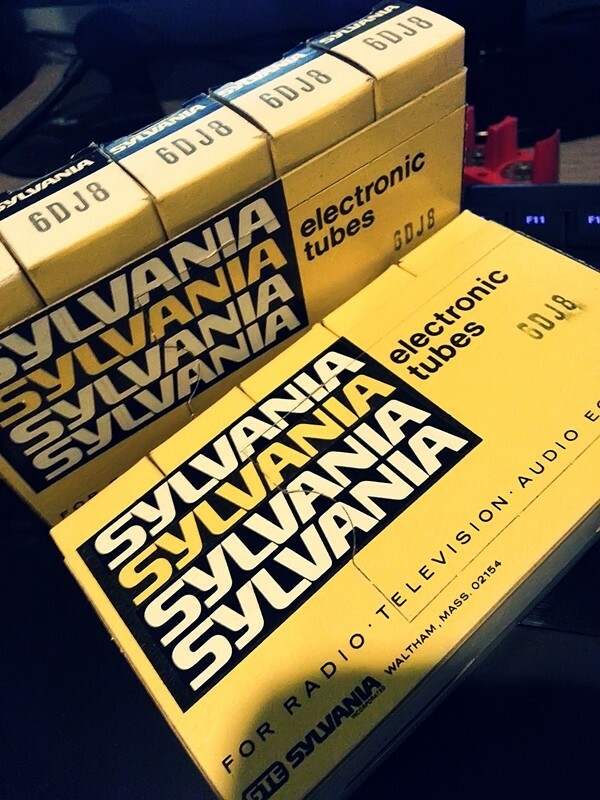 Sylvania 6dj8, NOS NIB 2 sleeve available. 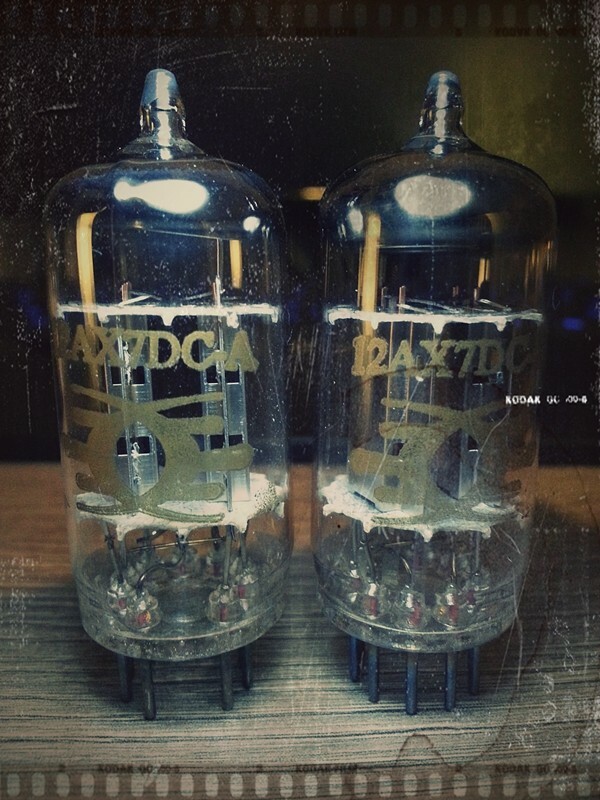 Ei 12ax7 matched pair new, Silver plate. 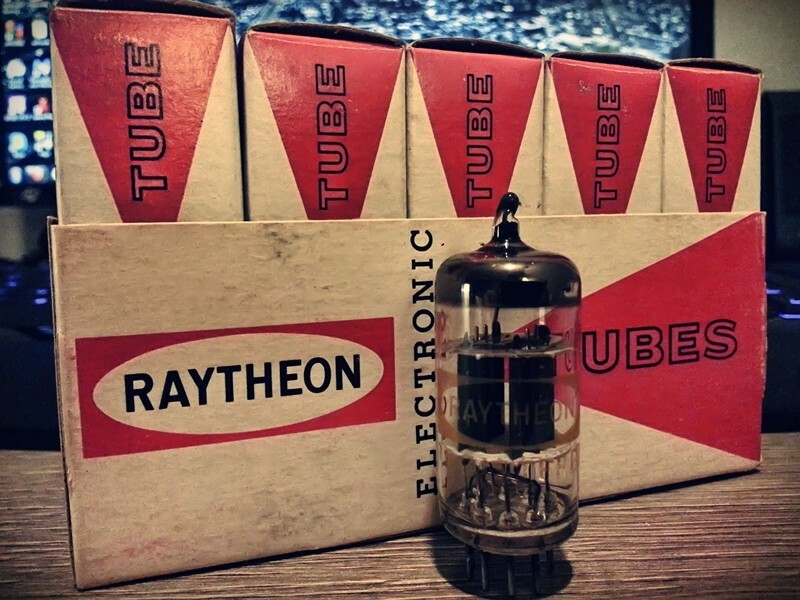 Raytheon 12au7 made by Toshiba Japan, NOS NIB a sleeve of 5. 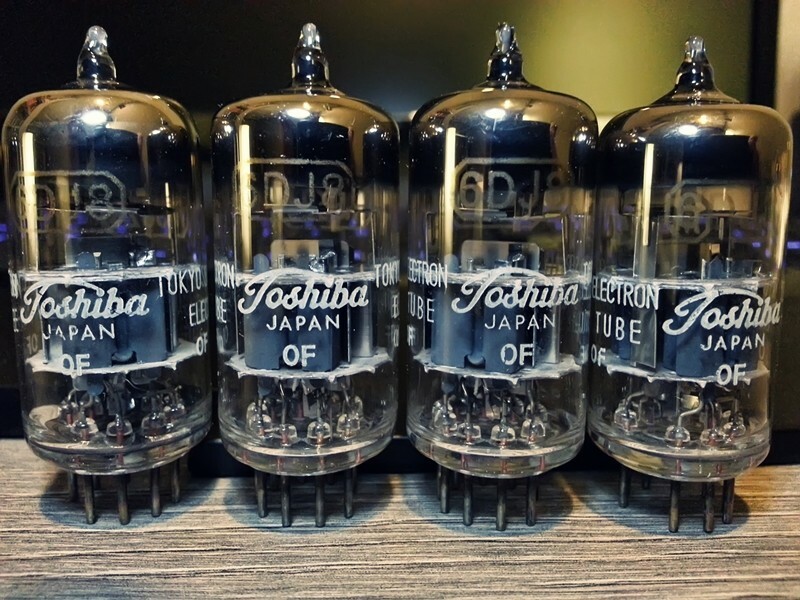 Toshiba made in Japan 6dj8 NOS matched quad. 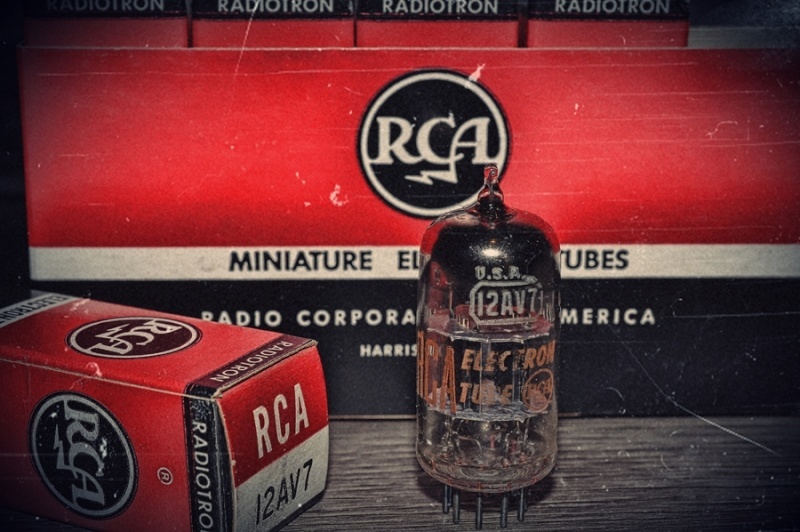 RCA 5963/12au7 used tested strong, black plate slanted square getter matched. 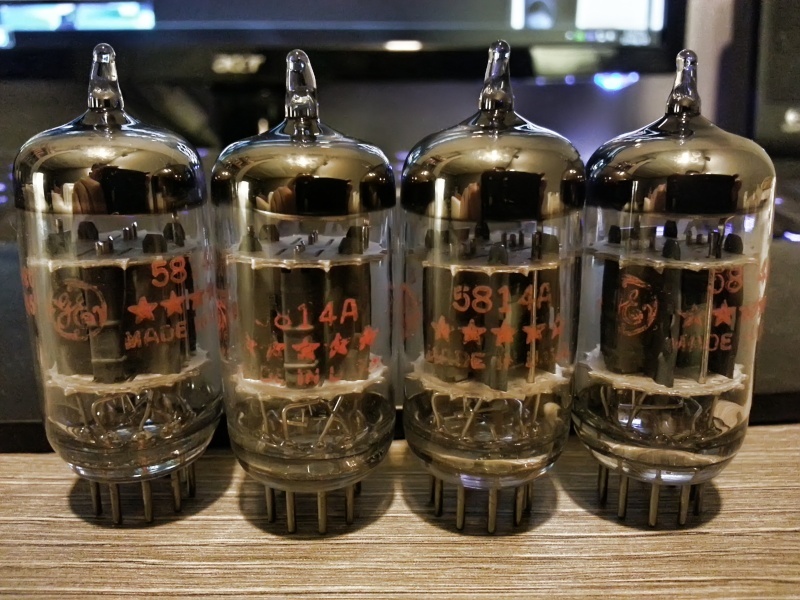 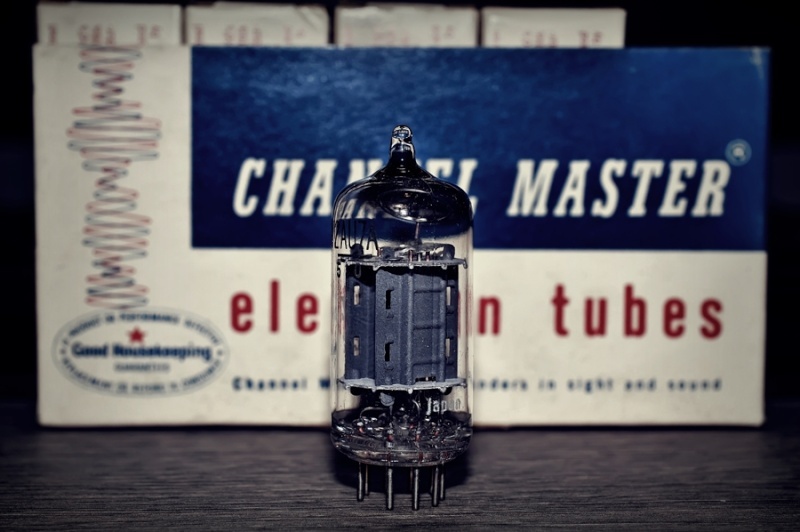 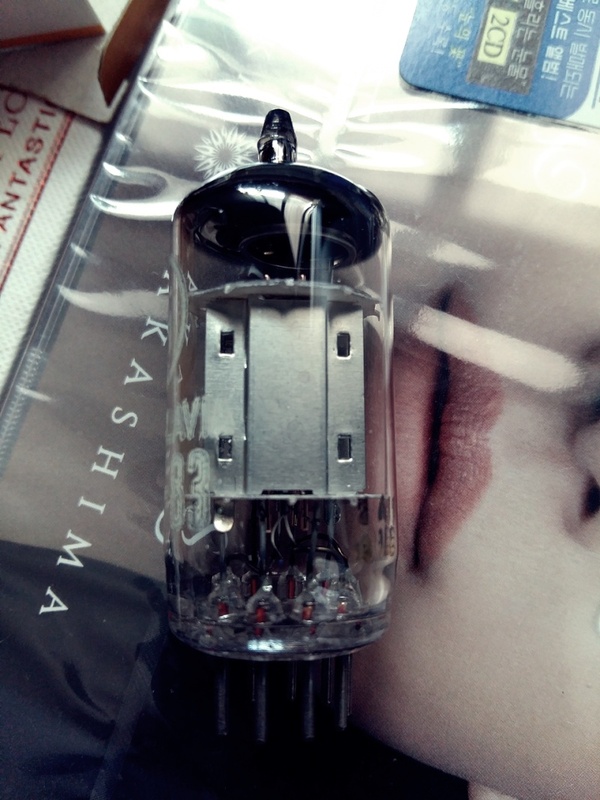 Channel Master 12au7 made by Matsushita Japan NOS NIB a sleeve of five. 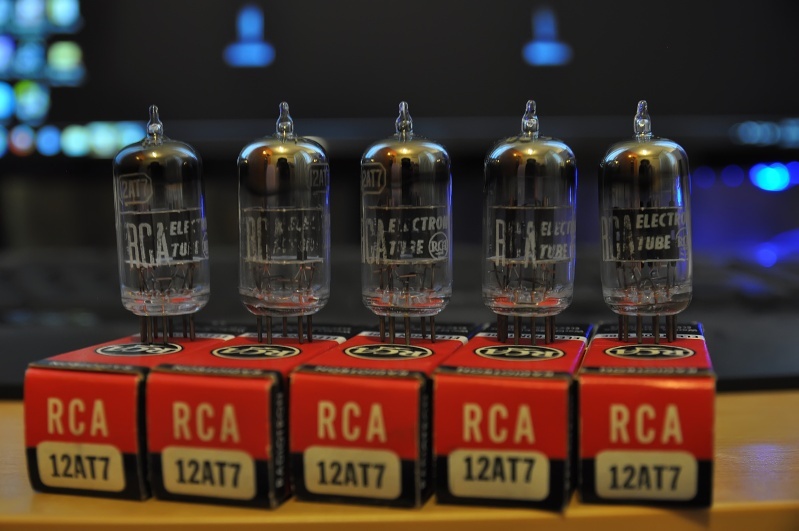 RCA 12av7 black plate NOS NIB a sleeve of five. 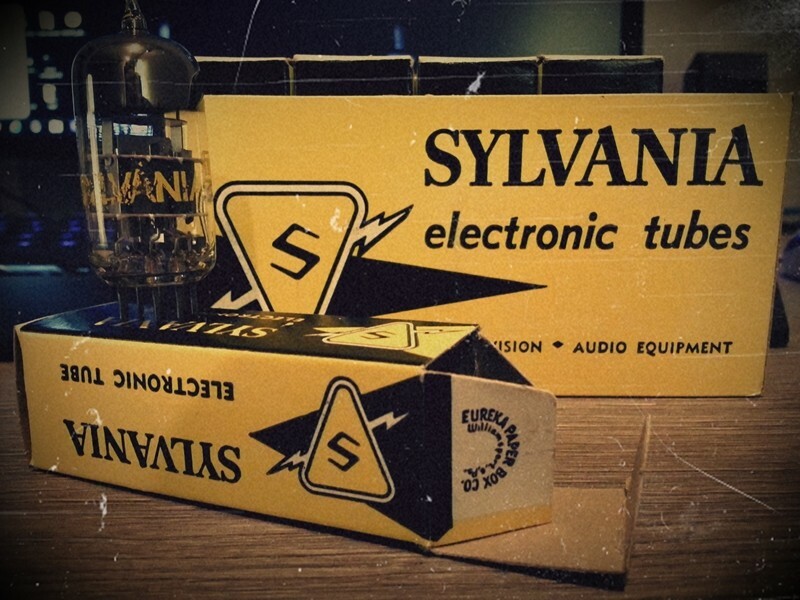 Sylvania 6dj8 NOS NIB a sleeve of 5. 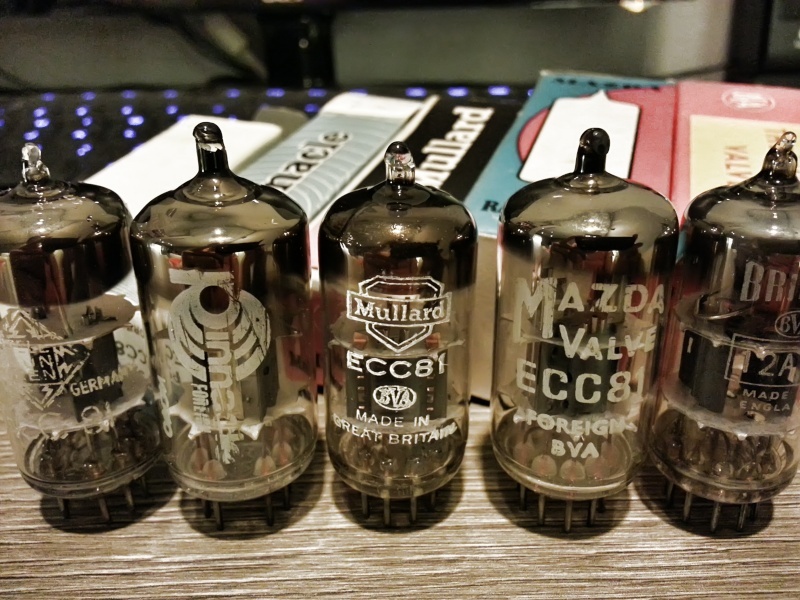 Mazda france made for GE 12au7, robust construction NOS NIB a sleeve of 4. 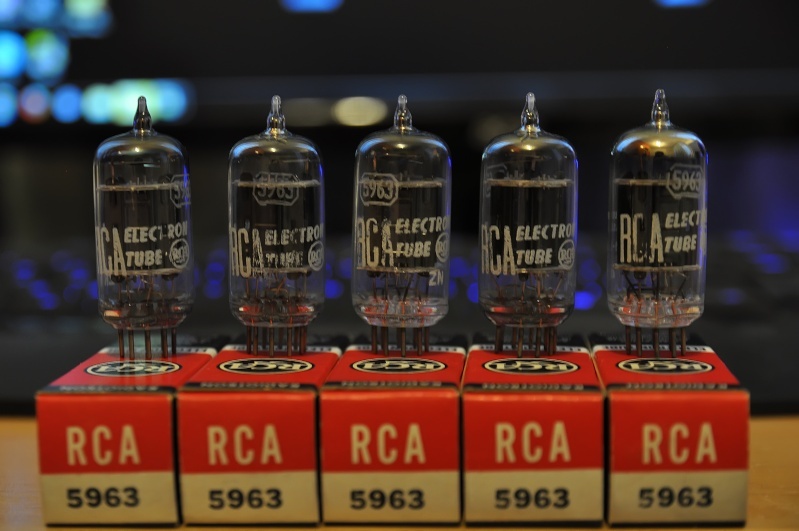 RCA 12at7/ecc81 black wing, square getter NOS NIB a sleeve of five. 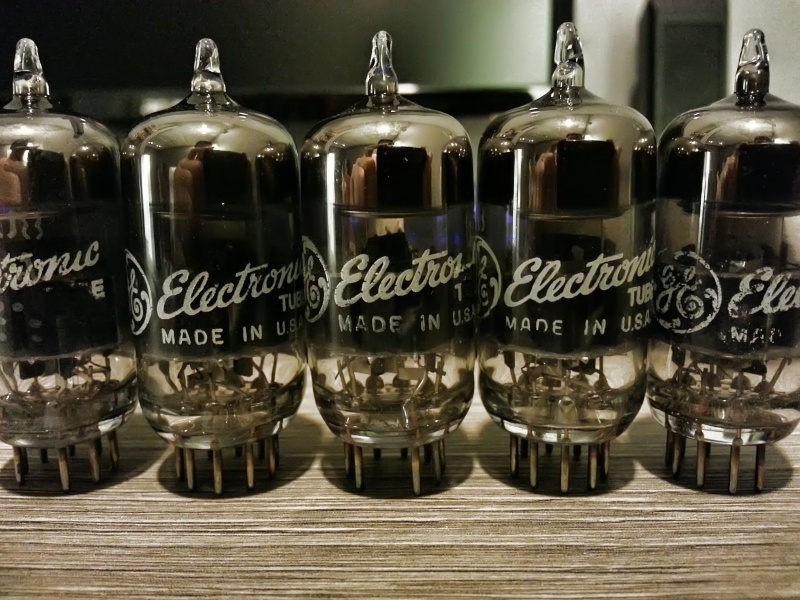 RCA 5963=12au7 black plate D getter NOS NIB a sleeve of five. 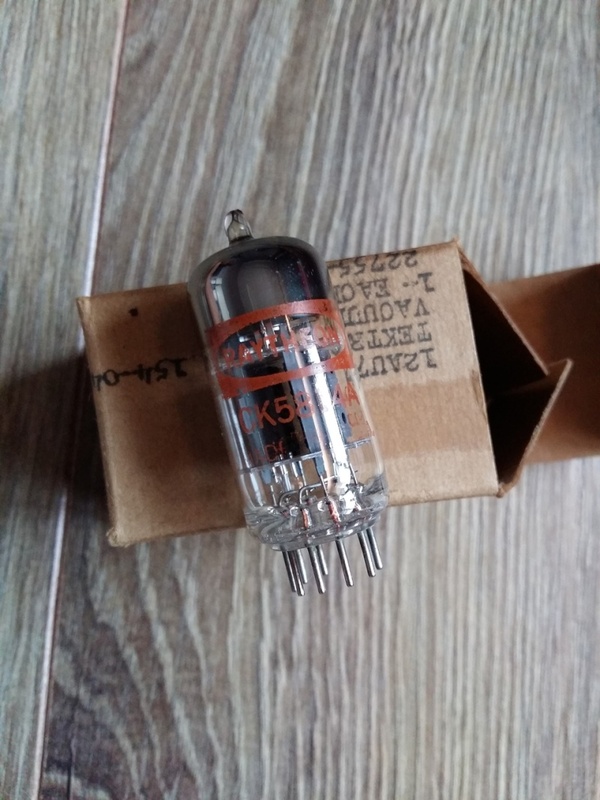 RCA 12au7 black plate slant D getter NOS NIB a sleeve of five. 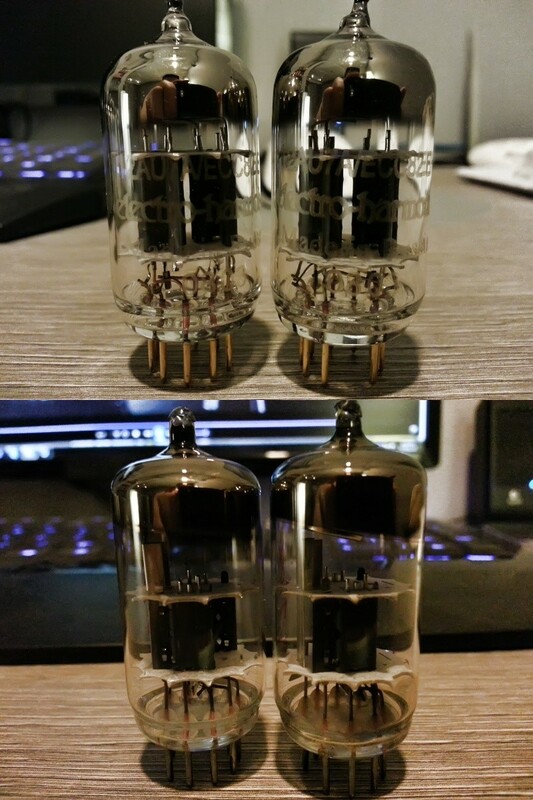 12au7 RFT and EH slightly used. 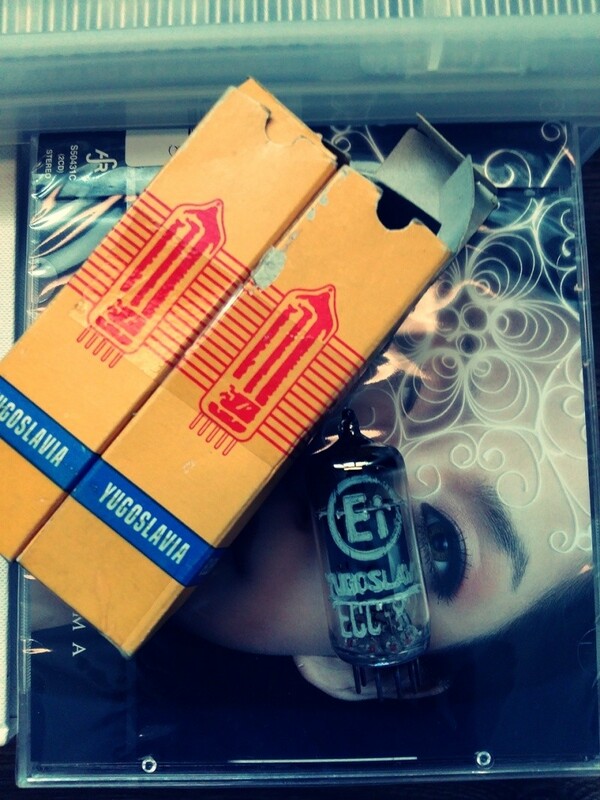 12AT7 mix brand, all NOS. 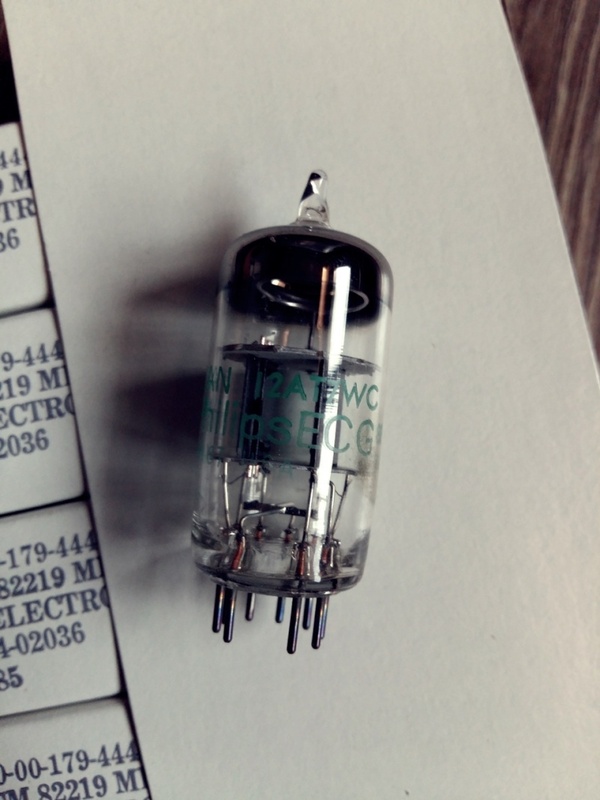 NOS RCA 5963/12au7 labeled for hp, lot of 6 matched. 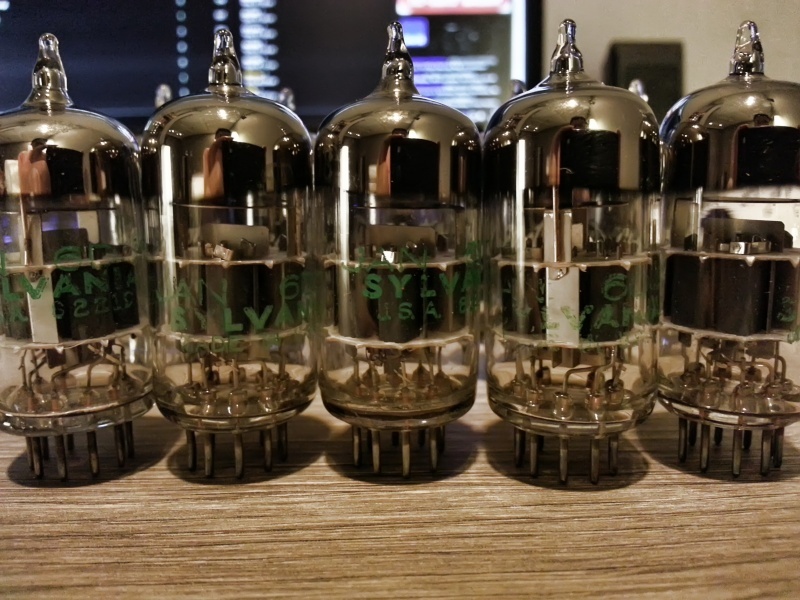 Sylvania 6dj8 four matched quad NOS new. 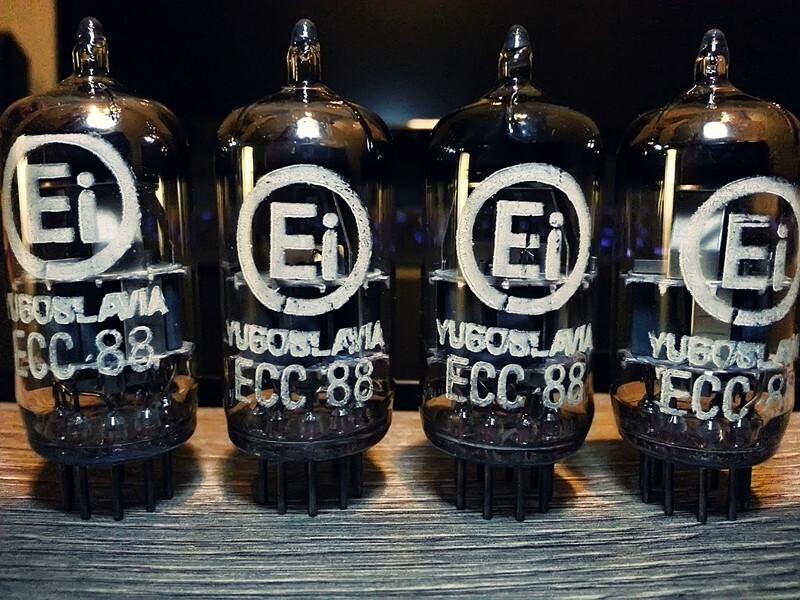 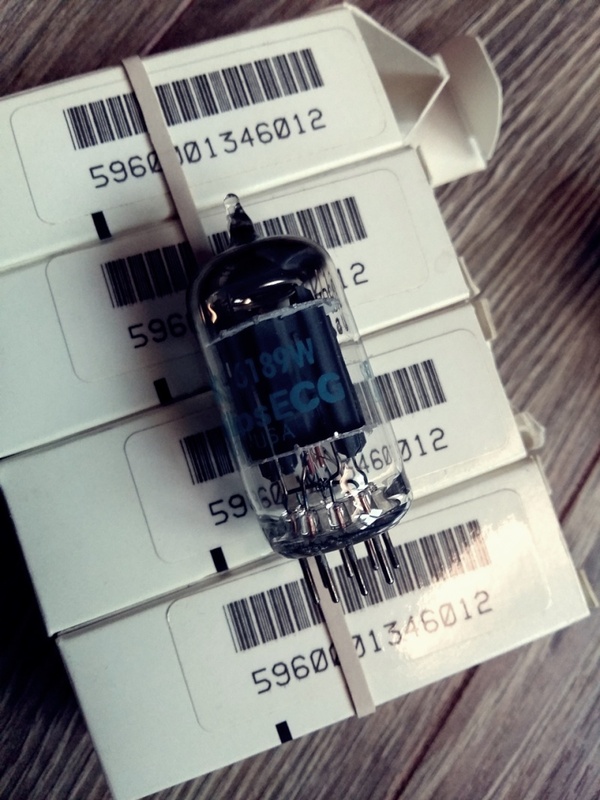 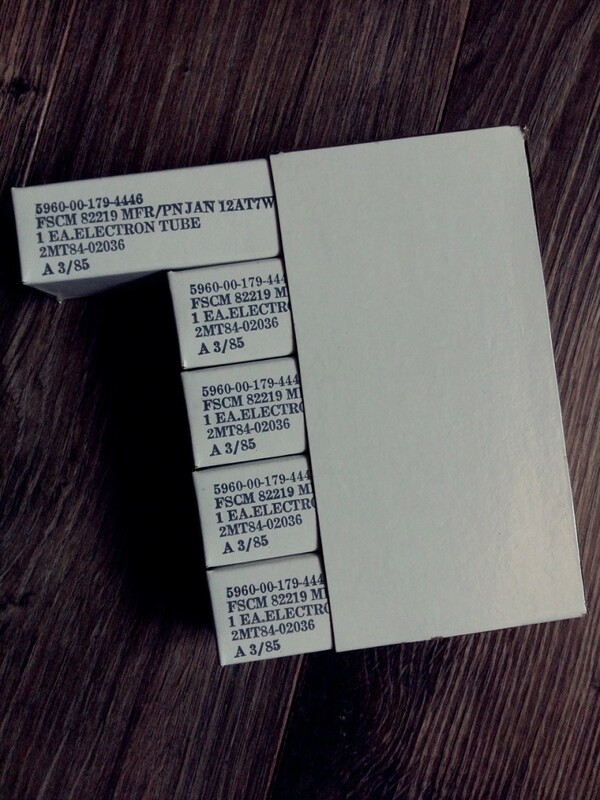 Hi, do you carry any 5654/6AK5/EF95 tubes?